For my second attempt at knitting I decided to be a bit more adventurous and knit my friend’s son a scarf. I decided on Rico Essential Merino Aran for the wool in navy, tangerine and burgundy, and I knitted the scarf using my favourite Addi aluminium 5mm needles. 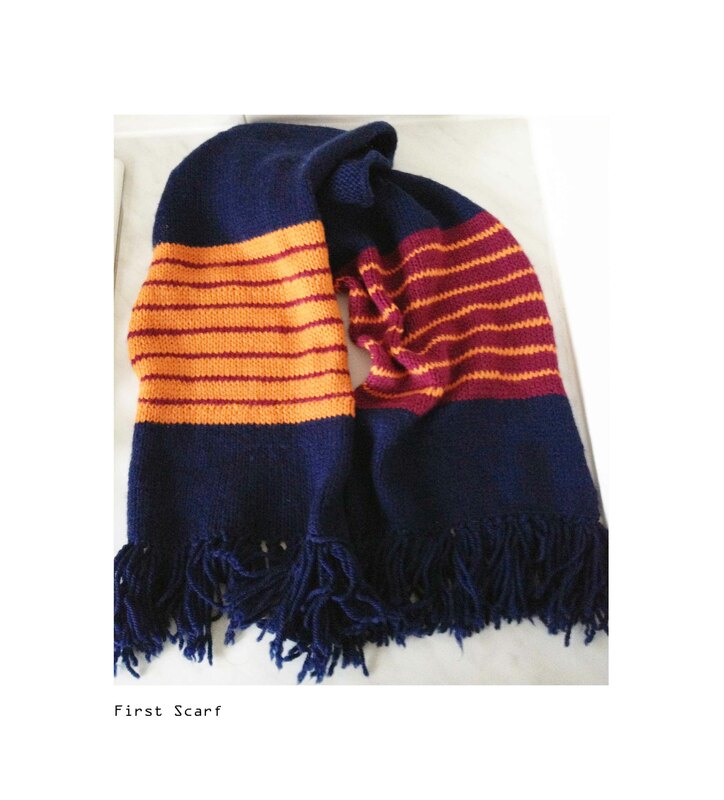 Completely unintentionally the scarf ended up being slightly Hogwarts-eque. This is no surprise seeing as I am a HUGE fan! I was really pleased with the end results, and more importantly my friend and her son love it! My favourite moment was when I saw them last. When his mum asked him who knitted him the scarf, two year old M smiled shyly and said Ju Ju, AAAHHHHH!!! It made all the tense moments trying to recover dropped stitches completely worth it!